Ben Van Dyke, BFA Kendall College of Art & Design, MFA University of Michigan. In 2006, Van Dyke was awarded a Fulbright Fellowship to the Netherlands where he was artist in residence at NLXL in The Hague. During this time, he lent his talents to the implementation of experimental practices for the ministries of education and culture with an analysis on the cultural implications of design. 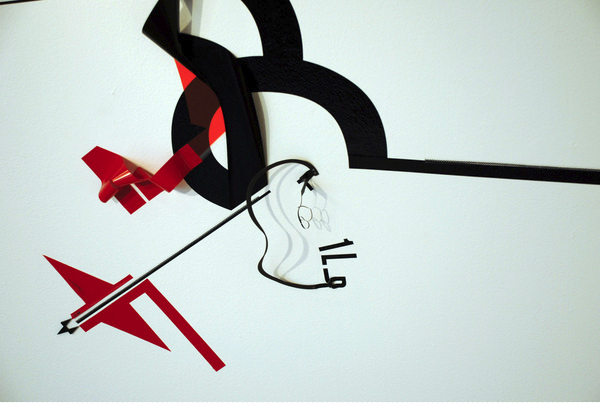 He has continued his research through site-specific installations of experimental typography. He has been invited to exhibit his work across North America, Europe, Asia and the Middle East. Van Dyke recently joined the faculty in the Department of Art, Art History and Design at Michigan State University. He also serves as Vice President of DesignInquiry — a non-profit design collective focused on research and education.